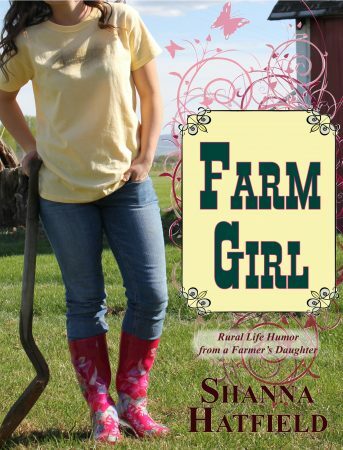 What happens when a farmer who’s been wishing for a boy ends up with a girlie-girl? Come along on the humorous and sometimes agonizing adventures from a childhood spent on a farm in the Eastern Oregon desert where one family raised hay, wheat, cattle, and a farm girl. “Let’s see you whip Rocket into shape,” Hayes said, stepping back and nodding his head to Hank. Hank pulled his hat down on his head, tugged on his gloves, and gave one last look around, like he hoped divine intervention would keep him from riding to his death. Motioning for Marcy to keep the kids at a safe distance away, Hayes waited until Hank had his left foot in the stirrup and was swinging his right leg over the back of the horse before he gave Rocket a firm smack on the hindquarters. The show the horse and rider put on for eager spectators could have packed a full house. Although completely unrehearsed and not choreographed in any way, the intricate steps and mind-blowing moves were previously unseen in our hemisphere and most likely won’t be again. Rocket, who appeared to have every intention of living up to his name, shot straight up in the air so high, our heads craned back to keep from missing any of the spectacular exhibition. On his way back down to earth, the horse went through a series of dance moves that included the foxtrot, tango, and the hokey-pokey.